Page on the edge of Lake Powell and Arizona shines as a base camp for adventure in the nearby canyons and 180-mile reservoir behind Glen Canyon Dam. ​The beauty of Glen Canyon, still evident above the lake, is a mere hint of how special it was. Photographs of Glen Canyon, and those who knew it, lament the loss brought on by a cement dam across the Colorado River more than a half century ago. Page of course owes it existence to the dam. The hillside community on Manson Mesa, initially called Government Camp, was established for construction workers in 1957. It was incorporated in 1975, a dozen years after the dam was completed. ​Now, area scenic attractions and five marinas in the Glen Canyon National Recreation Area attract visitors from all over the world. Bus tours are a common sight. Ski boats, jet skis and 75-foot houseboats, some with helicopter decks, dock on the lake. Tourists flock to slot canyons — Lower and Upper Antelope canyons — on the Navajo Reservation outside of Page. The canyons, sculpted by wind and rushing water, are magical with subterranean grottos and slivers of sunlight filtering in. Avoid busy weekends to better enjoy the canyons without lines of people crowding the narrow passageways. 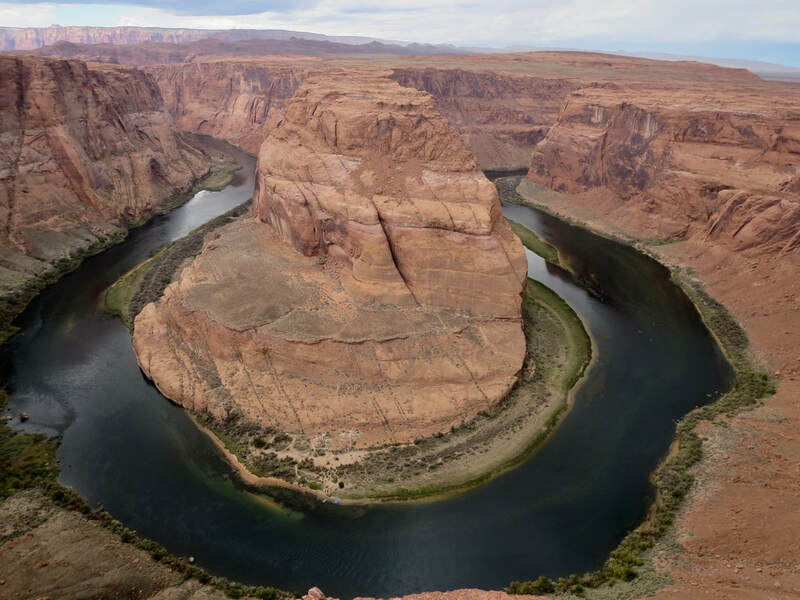 Crowds have also become an issue at Horseshoe Bend on the Colorado River 10 miles south of Page on US 89 between milepost 544-545. Work is underway to construct better tourist facilities at this scenic overlook. Travelers hike about 1.25 miles roundtrip to the overlook. Summer temperatures often top 100 degrees. It's best to avoid this trek in hotter weather unless you go early in the day. Page itself is full of chain motels, independent inns, local restaurants, stores, facilities for boat and RV repairs, and12 houses of worship on what's known as Church Row. The city is named for John C. Page, who was a U.S. Bureau of Reclamation commissioner under FDR. Page died in 1955 before construction started on the dam in October 1956. 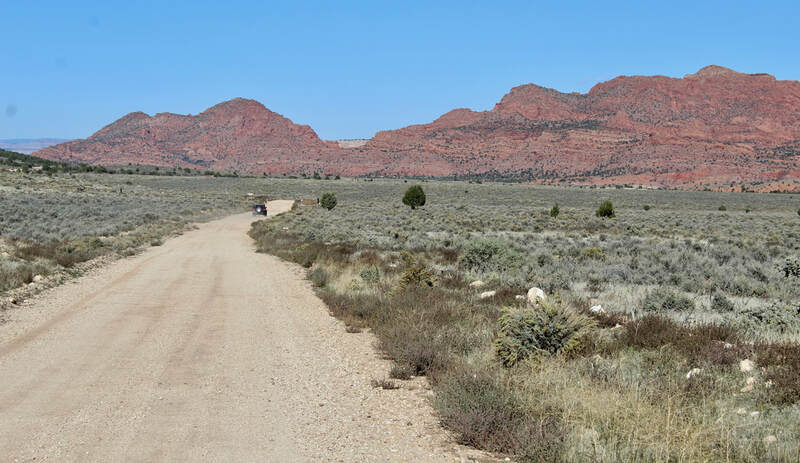 ​On the town's main drag, we recommend a visit to the John Wesley Powell River History Museum, which also serves as the Page Lake Powell Visitor Center. 2019 is the 150th anniversary of Powell’s epic journey down the uncharted Colorado River through the Grand Canyon. See a beautiful stretch of the river on full- and half-day river trips. Rafts make the 15-mile run from the base of 710-foot Glen Canyon Dam to Lees Ferry. Anglers can test their luck with world-class trout fishing at Lees Ferry. Outfitters and guides are available in Page and nearby Marble Canyon. If that’s not enough, Page is also a border town for the sprawling Navajo Reservation that covers part of four states. Explore the rez with its scattering of trading posts, roadside jewelry stands and the iconic buttes of Monument Valley just 90 minutes away. An overlook of Horseshoe Bend on the Colorado River just south of Page is one of the area's busiest attractions. 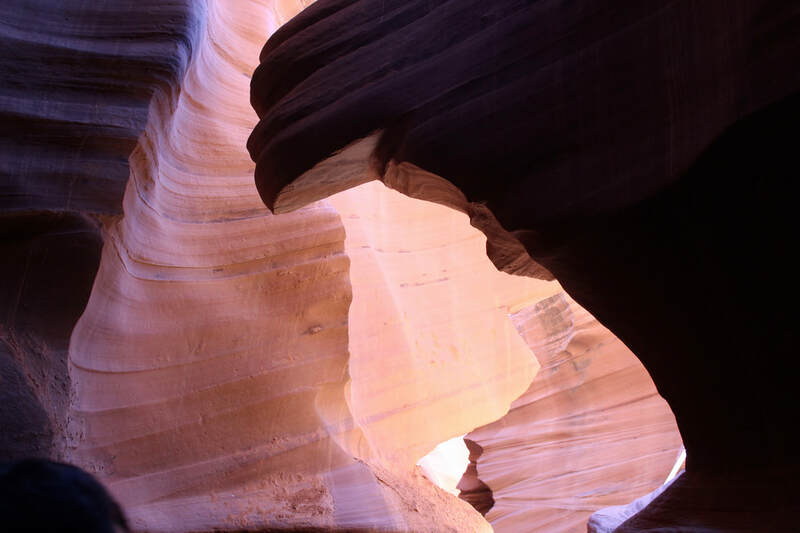 Avoid weekend crowds to better enjoy the Antelope slot canyon without crowds of visitors. 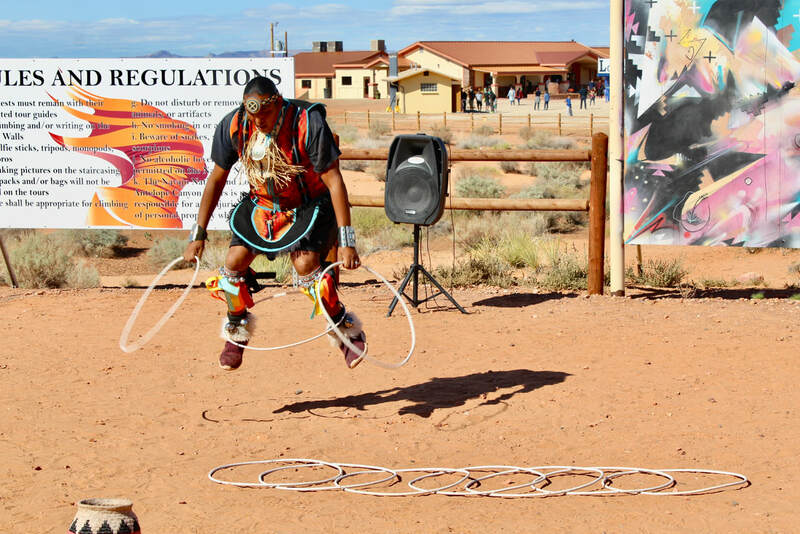 A traditional Navajo hoop dancer performs for visitors to Lower Antelope Canyon outside of Page. 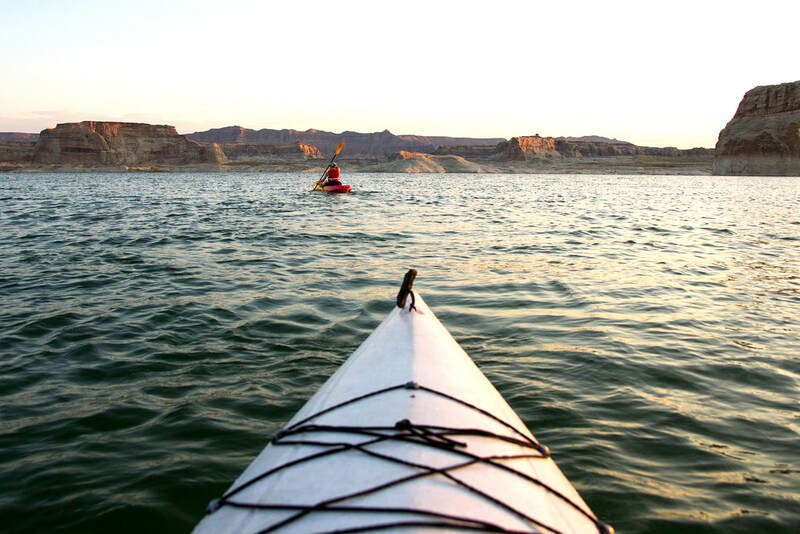 Lake Powell is a vast reservoir within the Glen Canyon National Recreation Area that's a playground for everything from kayaks to houseboats. House Rock Valley Road southwest of Page links US 89A and US 89 via a scenic 29 -mile route that's suitable for passenger cars in good weather. Page started in 1957 as a construction camp for Glen Canyon Dam. 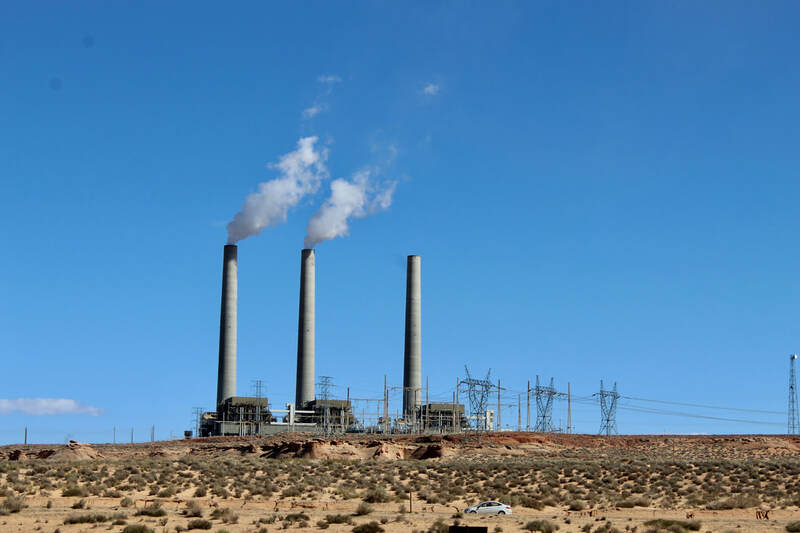 The coal-fired Navajo Generating Station is set to close in 2019. 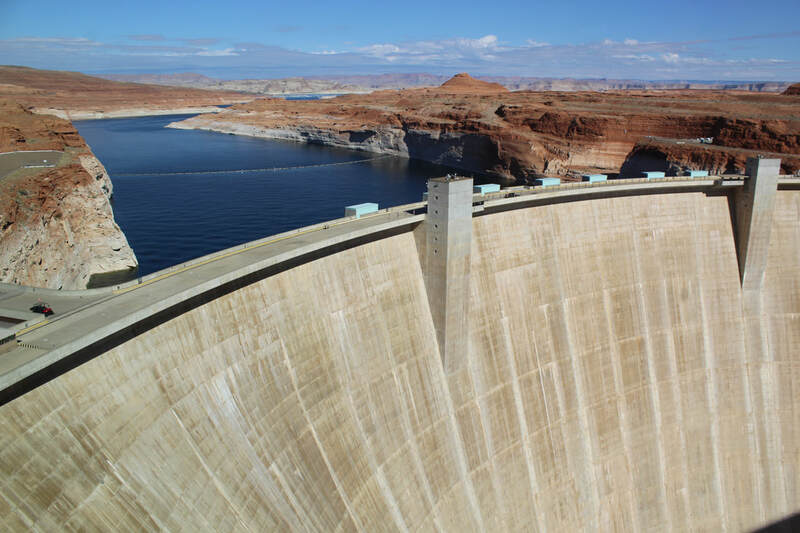 Carl Hayden Visitor Center offers Glen Canyon Dam tours.